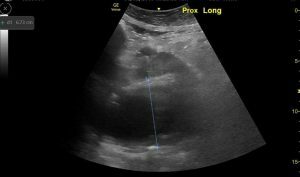 A 76 year old man presents to the Emergency Department with sudden onset of severe abdominal pain. He is known to have a AAA. On arrival he is in severe pain. He is clammy, cold and hypotensive (BP 76/40). He is tachycardic 130/min and tachypneic. He is unable to stay comfortable in any position. He is directed to resus. A point of care ultrasound is performed immediately while resuscitation with fluids is administered, analgesia is provided and the vascular team is called. His abdomen is soft but tender to examination . 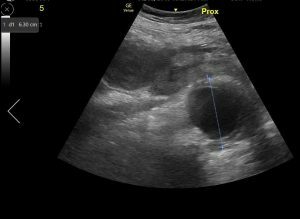 He is difficult to examine with ultrasound because he has so much generalised abdominal pain and the examination is uncomfortable for him. He is unable to lie still. AP diameter in the longitudinal plane 6.73 cm. He is unfortunately unable to be resuscitated and go to theatre for definitive treatment. He dies within the hour. 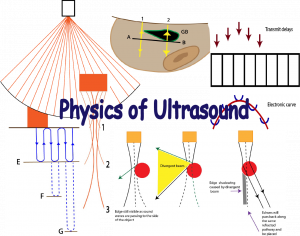 AAA and EFAST in trauma are the two basic ultrasound skills learned by Emergency Physicians in Australia. 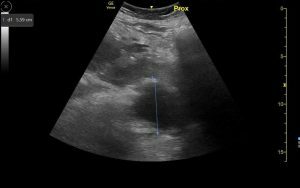 The visualisation of a AAA within the clinical context of abdominal pain/back pain/flank pain/ may indicate rupture. 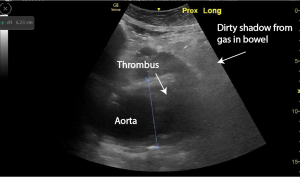 Colour Doppler flow showing flow of blood out of aorta into surrounding tissue. 95% of AAA are infrarenal. 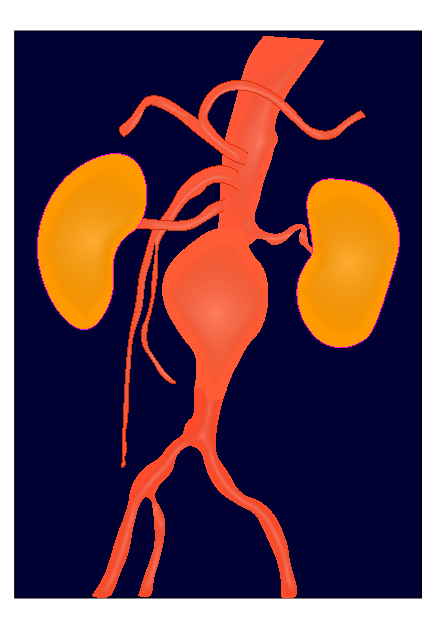 An aorta is considered aneurysmal if it is over 3cm in diameter. Looking for signs of rupture is often not possible because of the urgency of the situation and ongoing resuscitation and transfer to theatre. 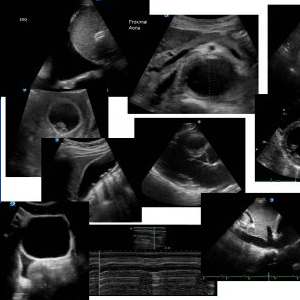 This entry was posted in Cases, Aorta, AAA. Bookmark the permalink.